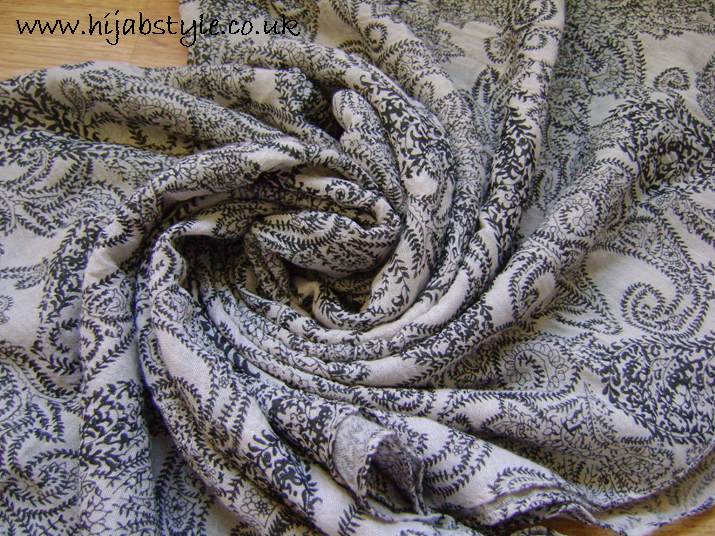 The Raha Paisley scarf is also a maxi hijab, with a delicate, slightly faded black paisley pattern. It also has slightly frayed edges at both ends. I'm not sure though that I would describe it as 'pink' though as the background is more of light cream. 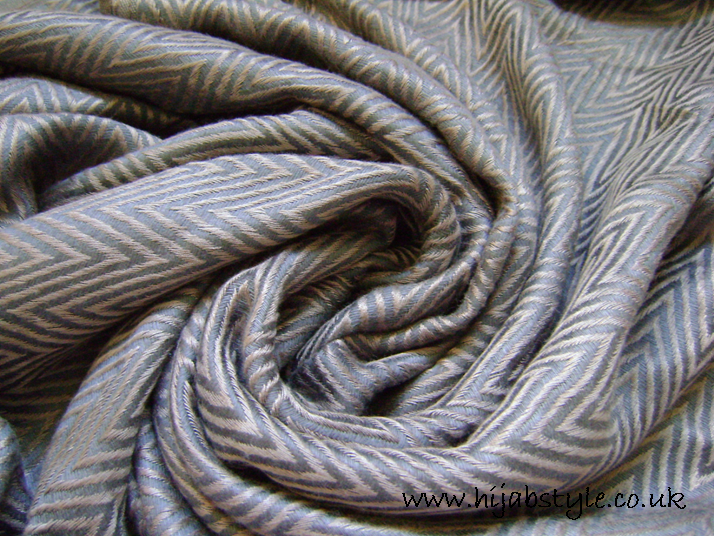 The fabric is also viscose, however I felt this one was slightly rougher than the Umniya scarf. Both are great for creating styles with volume and are non-slip. The Chevron scarf is a made of a really soft fabric which has a slight sheen to it, and is more opaque than the other two scarves. It measures 190cm x 70cm with short fringing at either end. Personally I think this works much better as a neck scarf or shawl than as a hijab. The fabric is not too thick, and the neutral grey and brown colours work well with other neutrals. This is my personal favourite of all the scarves. 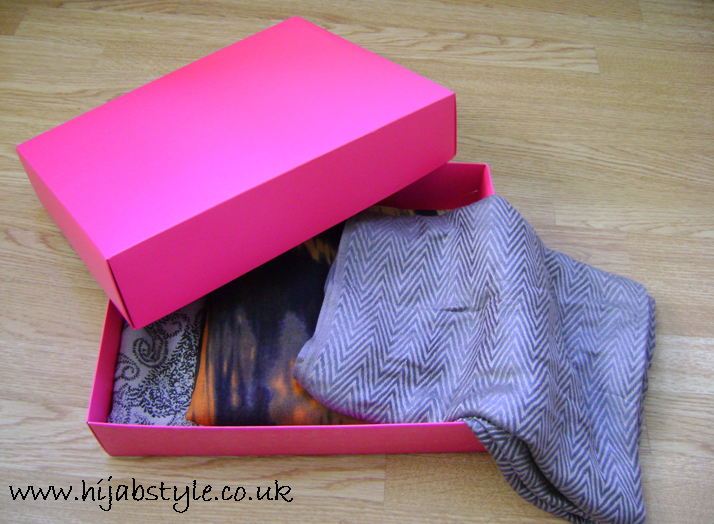 Overall, I was impressed by the quick delivery and thoughtful packaging of the scarves. 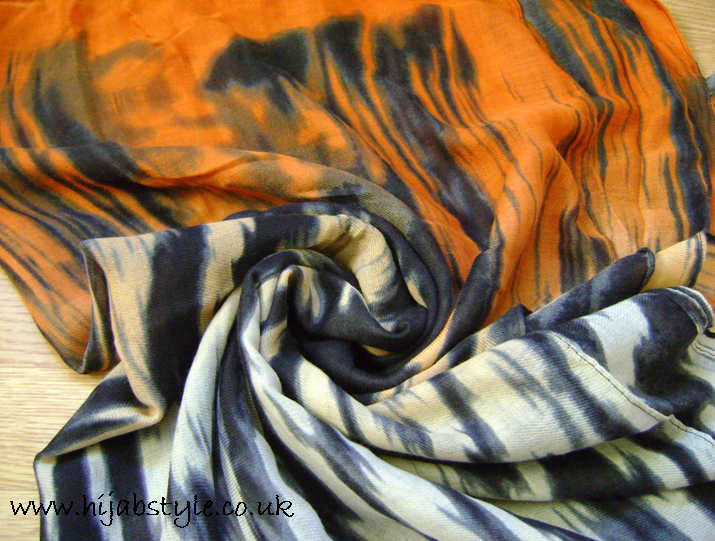 The Scarves Company website is easy to navigate, with reasonable quality photos. It's worth checking out if you're looking for new scarves this season.